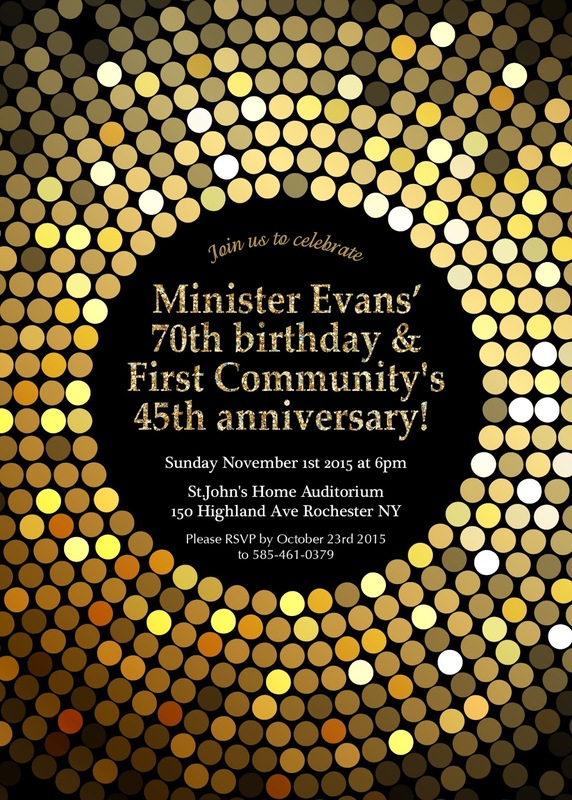 Celebrate Minister Lawrance Lee Evans' 70th birthday on November 1! I would like to emphasize that we need our friends, family and associates to step up to help Minister Lawrance Lee Evans, the major financial supporter of the Charles Riley Tutorial Program. Sister Tiffany listed ways in which individuals can help: give bottles, subscribe to the Black Koptic Press Release, write checks or a combination of these. I would like to add that individuals who have benefited from the program can help by using their influence to have others to support the Charles Riley Tutorial Program. 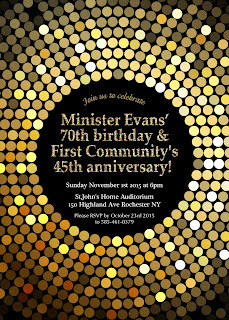 Yes, please emulate Minister Lawrance Lee Evans Sr. Also I must give kudos to Sister Jazz Kamau, goddaughter of Minister Evans, who has planned and is implementing a celebration for Minister Lawrance Lee Evans on November 1, 2015 (see attached photo invitation). What a wonderful gesture for a student who benefited from the Charles Riley Tutorial Program when she was attending Rochester city schools. Long life joy and Peace beloved Minister your disciple and friend Rev Federico Moses Maisonett . Camden NJ much Love.